Fostered with immense business expertise, we are engrossed in the arena of presenting HT and LT Underground Cabling Project. Broadly valued and applauded in the industry due to their flexibility, effectiveness and promptness, these presented services are immensely valued. To add, our customers can get these services from us at most economical costs. Supported by highly accomplished crew of employees, we are rendering LT Cabling Work. These provided services are delivered under the stern supervision of adroit personnel as per set industry principles. In addition to this, these provided services are attributed amid our client for reliability and cost effectiveness. 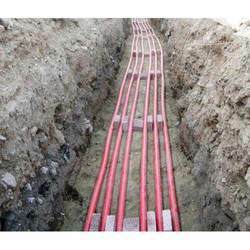 We are providing LT Underground Cabling Services also known as LT Cable Work. 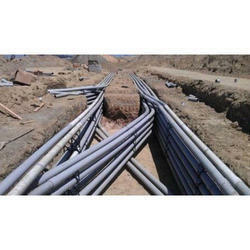 We are also engaged in providing LT Underground Cable. We Wants enquiries from PUNE Only. We are offering to our valued customers a supreme quality range of HT/ LT Underground Cable Work that are required by customers in many industries. Our cable laying services comprises lying of cables in industrial complexes, buildings and large distance units. To efficiently perform cable preparation, termination, jointing, commissioning, testing and maintenance. Detailed engineering & design of HT/LT underground cable work. Shree Bala Jee Infrastructure Co.
Our company enables us to offer HT/LT underground cable laying work with the expert techniciam.